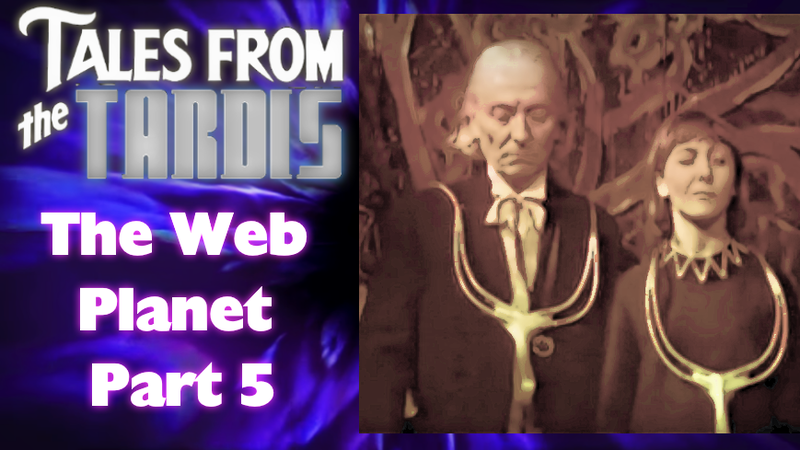 Tales From The TARDIS time again, and we're up to part five of 'The Web Planet'! 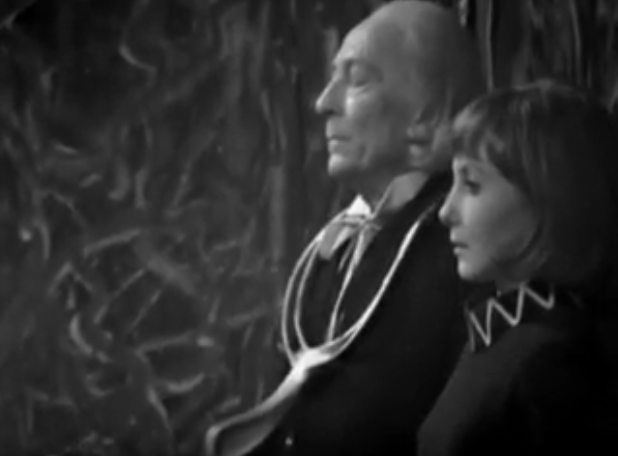 The objective of this episode was quite clear: escape from the existing danger and plan an attack on the Zarbi & the Animus to build towards the final chapter, and I think that was accomplished on all fronts . So we’re start with Barbara, as she and her Menoptera allies end up in one of sacred underground temple that are around Vortis, and encounter Hylnia and Hilio… and in an interesting turn of events, it’s Barbara who is coming up with the battle plans. Don’t forget, Barbara is a history teacher and part of history is war, and with all the situations she’s been in since meeting Susan and The Doctor, she comes up with a plan of attack, which is a mock attack to cause a diversion so the Menoptera’s weapon the isotope, a living cell destroyer that will be used to destroy the web of the Animus, but it has be used at the very center of its compound. 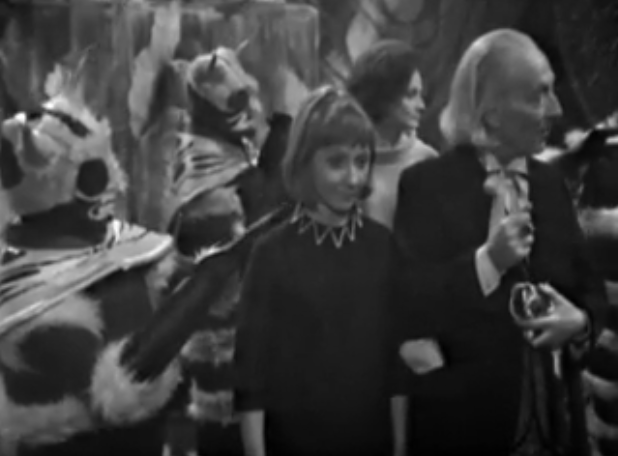 The Doctor and Vicki end up escaping thanks in part to the Doctor trying to reverse the power of the gold the Animus has, for Vicki’s harness was the one the Doctor was messing with in the previous episode… and they us it to capture a Zarbi for their escape. 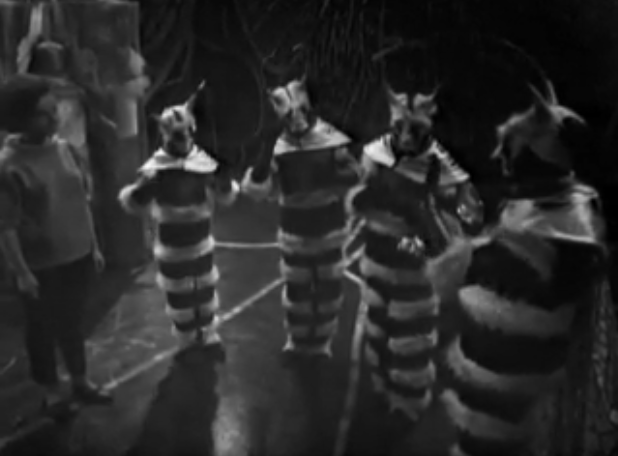 They end up finding there way to where Barbara is, and with the Doctor there, Barbara’s plan is adjusted so that he and Vicki can take the isotope back to the Animus’ center… basically back to the lions den for them, and they are captured, and covered with some webbing to serve as the episode cliff hanger. 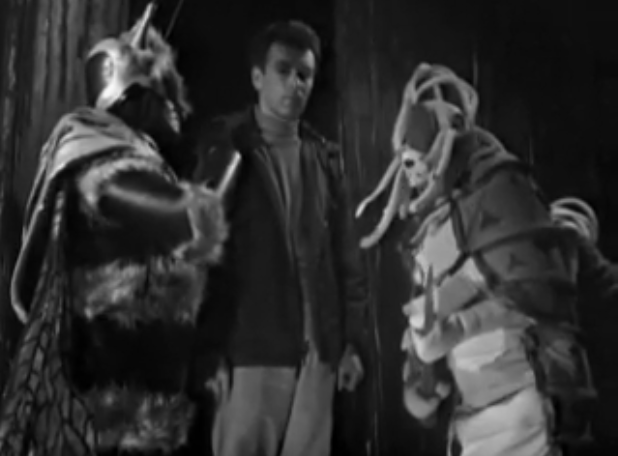 I kind of question this plan, sure it's less 'bloody' than Barbara's original one, but it's seems risky considering the Zarbi could've killed The Doctor and Vicki on sight! Enough can’t be said about how distinct the Optera and the Menoptera movement’s are, there is such a lovely… ballet with how they move and gesture, so that even if you didn’t know what they were saying, you can watch their body language… so the credit goes to Roslyn De Winter who has the production credit for this Doctor Who story for ‘Choreographer, as Insect Movement By’. I know some people don’t appreciate it, but I sure do. We do learn a lot about Animus, it lives in the center of Vortis, it is pulling the moons towards ti planet and draws its powers from the magnetic poles, which causes havoc with gravity and why the TARDIS was pulled down in the first place. 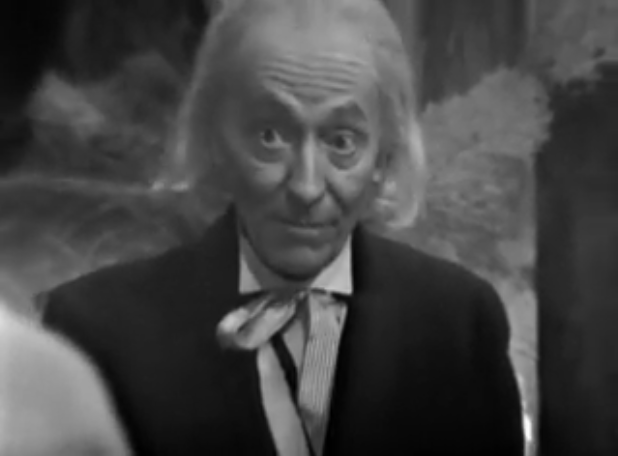 I can’t say for certain now, but I think gravity ends up being a big weakness for the Blue Police Box. A strong enough force can keep it from moving. Blue Seed: "Japan is a Paradise! Tears in Wakasa"